Nanocrowd is a movie recommendation search engine that uses keywords from film reviews to classify movies into “nanogenres” that provide more description than a generic movie genre. 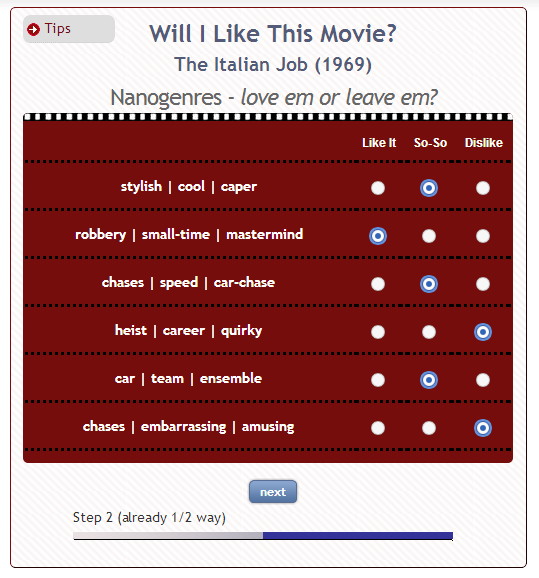 The game is based on Nanocrowd’s database and allows a user to input a movie title and determine their compatibility with the movie. I developed it using Adobe Flex Builder using ActionScript and MXML. It was live on Nanocrowd’s website and Facebook.